Johnson & Johnson Sued Over Talcum Powder Products | Kennedy Hodges L.L.P. For many years, women have used talcum powder to control moisture, odor, and chafing in the groin area. Unfortunately, the use of these products can cause significant harm to some women. Several pending lawsuits are now being pursued against Johnson & Johnson, a major pharmaceutical company and manufacturer of talcum powder products, including Johnson’s Baby Powder and Shower to Shower. Unfortunately, despite the fact that the use of talcum powder has been linked to serious health effects, major manufacturers of talcum powder products continue to not warn consumers of the potential dangers associated with the use of the products. 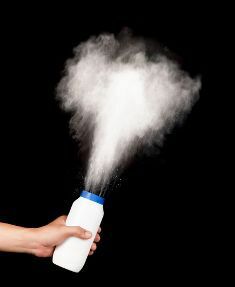 If you used talcum powder and were diagnosed with ovarian cancer, we encourage you to contact an attorney in order to protect your legal rights. Call us today at 888-526-7616 for more information.